There are few things your business needs more than steady and reliable computer support and services. 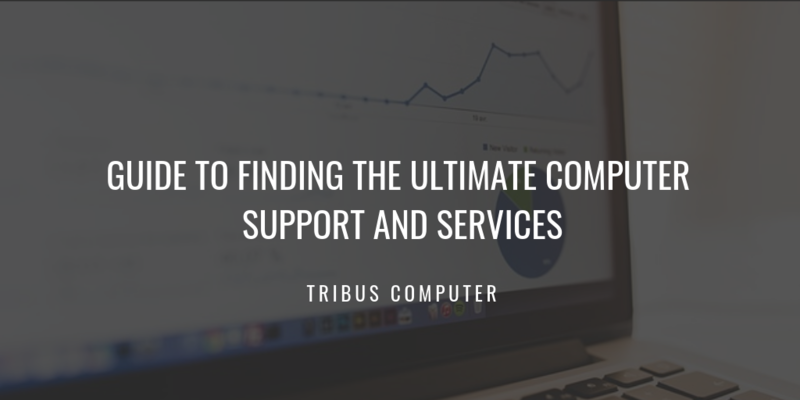 If you run a small business – anything from a bed and breakfast to a restaurant, retail store or construction company – then scroll down for our quick guide to finding the ultimate provider, and at any point in your reading, we encourage you to contact Tribus Computer to assist with all your IT needs. A quick and easy way to assess computer support and services is to do some online research. Google reviews, Yelp, and Facebook are all great places to start. This is a great way to gather information on potential providers from other customers. Make sure to be wary of potential spam contributors, though; the best reviews are ones that offer at least a readable sentence or two. Google Reviews are a great way for you to begin to assess a company’s previous work. It’s easy to underestimate the value of a good chat in today’s digital world, but asking around for actual first-hand reviews of a computer support and services provider is always a good idea. Check with colleagues who run a similar business and have similar needs, and get the scuttlebutt on who has a good reputation and who to avoid. You should seek out the input of others when looking for computer support and services. What was your level of satisfaction with this computer support and services provider? Would you recommend working with this company? How long did your service last? A failure or unwillingness to provide references should be seen as a red flag. Get references for all your prospective service providers. A face-to-face meeting is recommended so you can get a sense of who you will be working with. You’ve checked the reviews, engaged in thoughtful discussion, asked for reviews and met in person, and now it’s time to make a decision. By now you’ll have a good idea of what you’ll be getting on the technical side, and also a glimpse of the customer service that will be provided – anything less than exceptional should not be accepted. Pick up the phone, set up a time to meet and confirm the hire, and enjoy the benefits of a reputable computer support and services provider. Congratulations! You have found the ultimate computer support and services provider. In today’s rapidly changing technical environment, do you find yourself struggling to keep pace with change? Do you find yourself spending more time focused on your back office than your clients? Do you sit back and wonder what ”doing it yourself” is actually costing you versus saving you? Would you like to pick up the phone when you have a problem and have someone else “just fix it”? Trust Tribus Computer, a company that brings over 20 years of experience to the table. 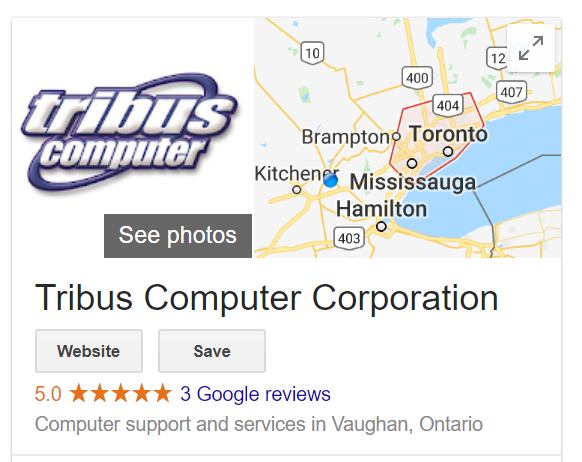 At Tribus Computer, we have an established network of computer technicians available to assist you in your “end to end” computer needs. From the design, to the purchase, to the installation support, Tribus can let you “get back to business” while looking after your back office for you. Contact Tribus Computer today for your free quote.